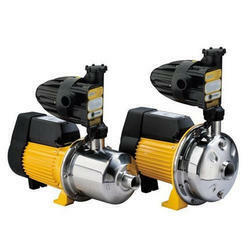 Our company has achieved widespread recognition in providing Water Pressure Pump. SubDrive HPX facilitates Constant Pressure, Pressure Cycling, Flow Control, Switch Control and Tank Level Control. 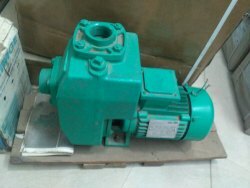 These Water Pressure Boosting Pump System offered by us are available in different customized forms & specifications with respect to the emerging requirements of clients. Moreover, the offered range of boost pumps is applicable in engineering, construction, power generation, cycle & railway industries and allied areas. Flow rates up to 26 Ipm (7.05 US gpm). Fully automatic water pressure boosting systems. These systems are available in three variants - K, V & VP with 2 to 6 vertical high pressure pumps and fully electronic control of the required supply pressure with two standard volt free contacts for fault indication.